In April, an old friend came back to visit. 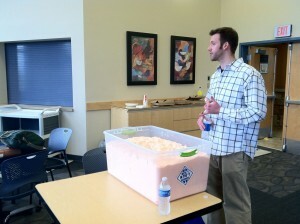 A long time ago, a fellow showed up at an Inventors Club meeting with an idea for a very unique material. 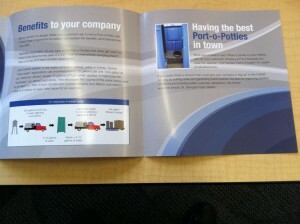 It was a foam that would be used in port-o-potties. Like the traditional blue liquid, it would capture the effluent. Unlike blue liquid … No backsplash. No bad smell (replacing that with a refreshing good scent). Can’t see the effluent. If bugs get in, they don’t get back out. And it all breaks down to its original liquid in about 7 days. 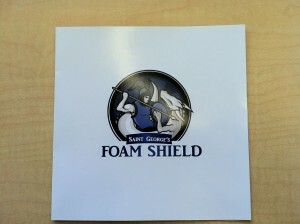 Here’s Ben Westrick with Saint George’s Foam Shield – ready to buy! 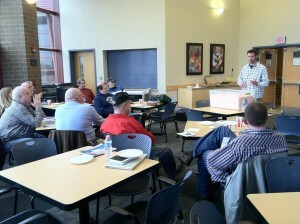 Ben demo’ed the product for us and good-naturedly put up with a barrage of questions. But, he was used to that – he just got back from a trade show where his booth was VERY BUSY all of the time. 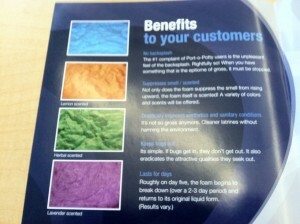 Check it out at http://www.stgfoam.com. This entry was posted in Invention, Meetings on April 9, 2011 by Admin.